Theresa Allen observed a Barn Owl pursued by an American Crow as the two bird flew through her yard on Saturday, March 24, 2012. The Barn Owl was being attacked by the American Crow, which was engaged in the typical crow behavior of mobbing and driving off birds of prey. The pair flew in low over Theresa’s yard (within just a few feet/meters of Theresa) as the frantic owl desperately tried to evade the marauding crow. 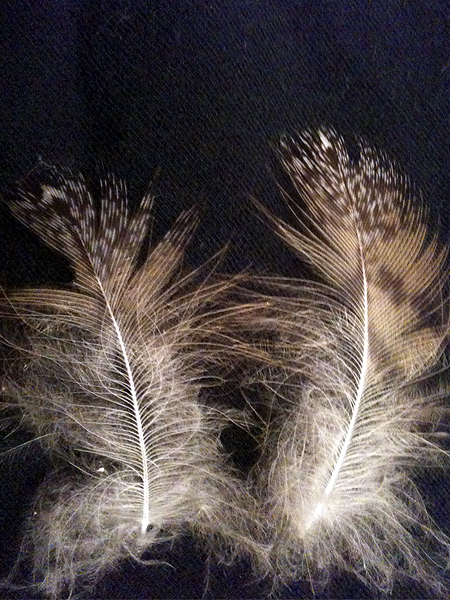 On one occasion, the crow impacted the Barn Owl causing the owl to lose feathers. 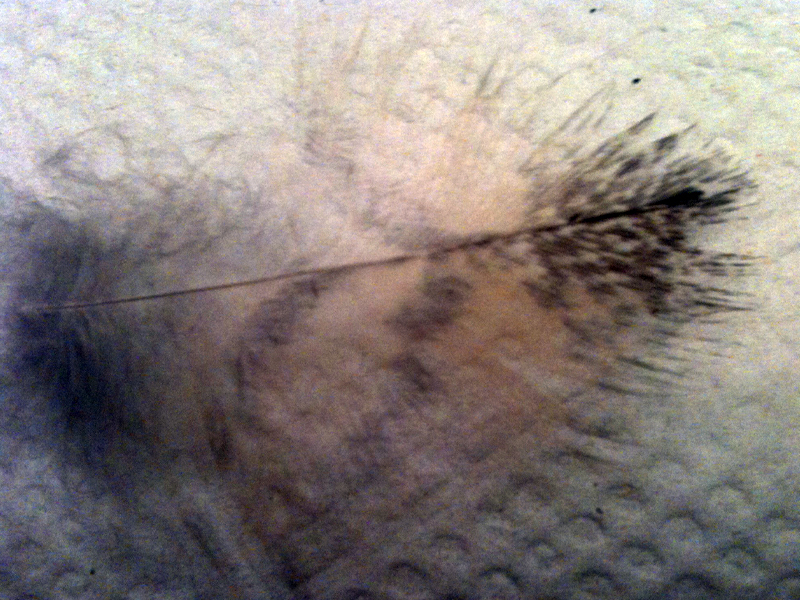 Theresa was later able to recover and photograph these feathers. NOTE: This interesting observation was originally reported as a Snowy Owl sighting and as such it generated a great deal of excitement. Snowy Owls usually reside in the far north of Canada and Alaska, but for some reason in the late winter of 2012 a number of Snowy Owls moved south into the lower 48 states. This was a remarkable and rare occurrence. There have been at least two confirmed Snowy Owl sightings in the Dallas area. 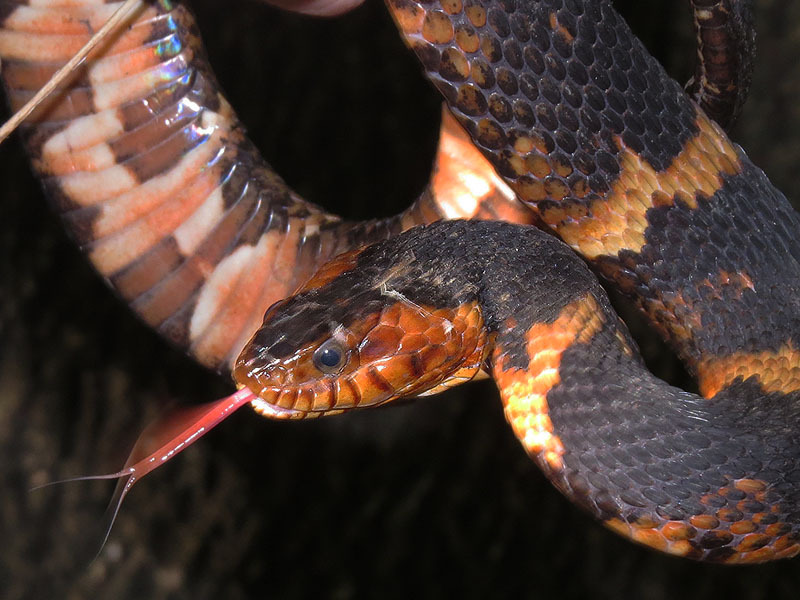 One near Lake Ray Hubbard and another in downtown Dallas. There had been a third, but unconfirmed, Snowy Owl sighting in Forth Worth in the same general area as this Barn Owl sighting. Hopes were high. Its not hard to imagine mistaking the lightly colored Barn Owl for a Snowy Owl, especially if all you get is a fleeting glimpse. 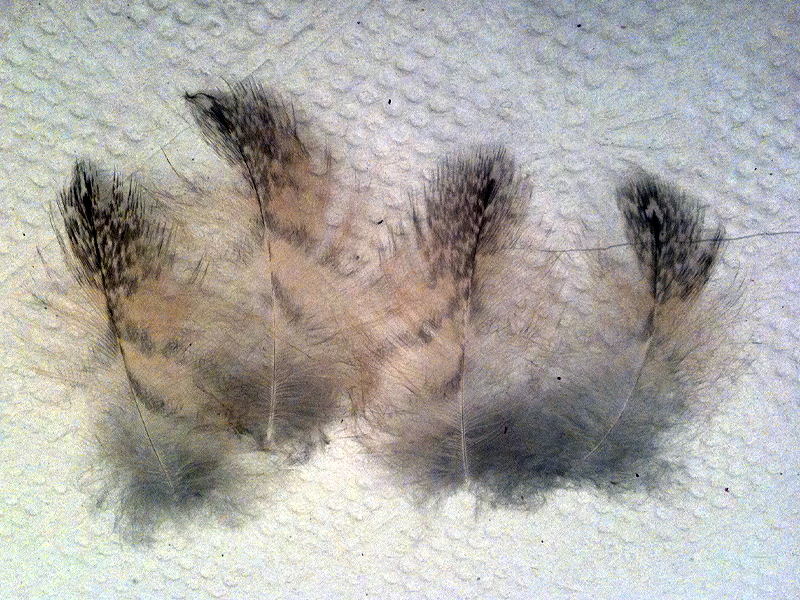 As it turned out the collected feathers made it clear beyond a doubt that it was a Barn Owl that was seen in this case.